In March, the prospect of a Saudi-led military coalition offensive on the rebel-held city of Hudaydah dominated Yemen-related policy discussions at the United Nations and in the United States. 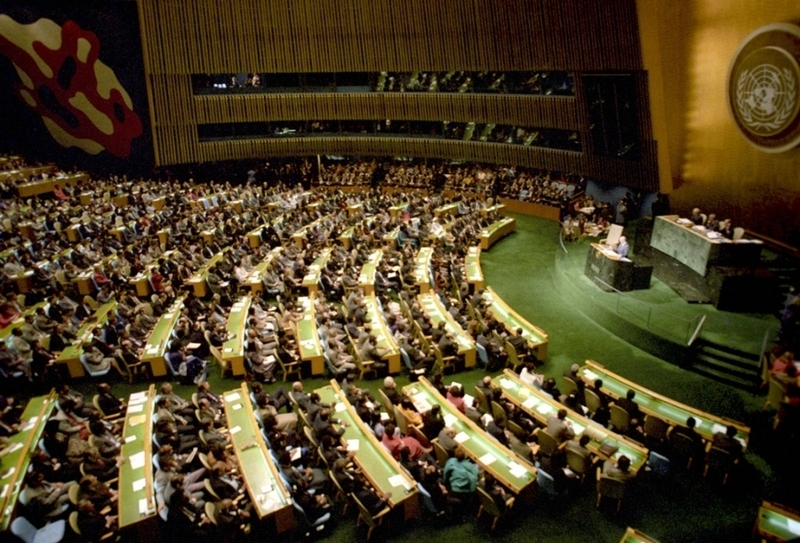 Discussions among UN Security Council member states generally centered around how such an offensive would radically exacerbate Yemen’s humanitarian crisis – given that Hudaydah is the main entry point for humanitarian and commercial goods, and that the country is already facing the world’s largest food security emergency. In February, the Food and Agriculture Organization of the United Nations stated that “Yemen is facing the largest food security emergency in the world”, and estimated that the country’s domestic reserves of wheat would be completely exhausted by the end of March 2017. The UN human rights commission raised credible reports that war crimes were committed by both the main warring sides during battles for the Red Sea port town of Mukha. These battles saw the forces backing Yemeni President Abdu Rabbu Mansour Hadi capture the town from the Houthi movement and its main ally, former President Ali Abdullah Saleh. In January, the UN Special Envoy to Yemen Ismael Ould Cheikh Ahmed entered a period of shuttle diplomacy in an attempt revive the same peace proposal he’d put forward in December 2016 – a proposal Yemeni President Abdu Rabbu Mansour Hadi had at that time flatly rejected. The UN 2140 Sanctions Committee’s Panel of Experts reported last month that neither side in the conflict has “demonstrated sustained interest in or commitment to a political settlement or peace talks”, while pro-Hadi forces appear poised to further capitalize on recent battlefield advances. UN Emergency Relief Coordinator Stephen O’Brien said the Yemeni conflict is driving the single largest food insecurity crisis in the world and warned of the likelihood of famine in 2017; simultaneously the UN and humanitarian partners launched the largest ever international humanitarian appeal for Yemen: US$2.1 billion to provide life-saving assistance to some 12 million people. In December, the internationally recognized government of Yemeni President Abdu Rabbu Mansour Hadi officially rejected the latest UN proposal to end the conflict in Yemen. The Hadi government then laid out new conditions for any future peace agreement that effectively preclude the possibility of a negotiated end to the war. The Houthi movement and allied forces of former President Ali Abdullah Saleh sought out but failed to garner international recognition for their recently formed “Government of National Salvation” (GNS), following which the GNS was affirmed through a vote of confidence in the Houthi-Saleh controlled Parliament in Sana’a. In November, United States Secretary of State John Kerry announced that he had reached an agreement between Saudi Arabia, the United Arab Emirates and the Houthi movement to end the fighting in Yemen. He did so, however, without obtaining the agreement of the internationally recognized government of Yemen, one of the war’s main belligerent parties. The ceasefire was almost immediately violated and quickly failed. The opposition Houthis and allied forces of former President Ali Abdullah Saleh announced the formation of a new government in Sana’a. The move was seen as an attempt to redress public outrage at the opposition’s brutal, corrupt and inept governance, as well as shore up the strained Houthi-Saleh alliance. The result is a government with a sprawling array of ministerial portfolios with vast overlaps of responsibility and authority. While the UN Special Envoy to Yemen called the move “a concerning obstacle to the peace process”, a position shared by various Security Council member states, the council as a whole was unable to agree to a statement in this regard. In October, the Houthi forces’ use of anti-ship missiles targeting vessels in the Bab al-Mandeb Strait led to a brief but direct intervention in the Yemeni conflict by the United States navy. Saudi-led coalition airstrikes on a funeral gathering in Sana’a caused massive casualties and brought widespread international condemnation, however the US and United Kingdom continued to oppose an international investigation into war crimes in Yemen, and Saudi Arabia was re-elected to a second term on the UN Human Rights council.